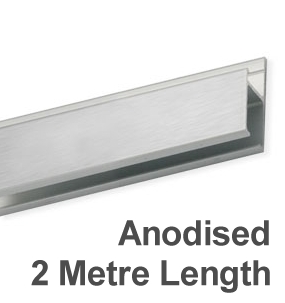 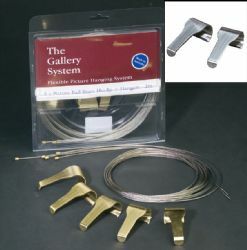 These picture hooks are designed to fit the Gallery Stainless Cable Hangers and Traditional Picture Rail Hangers. 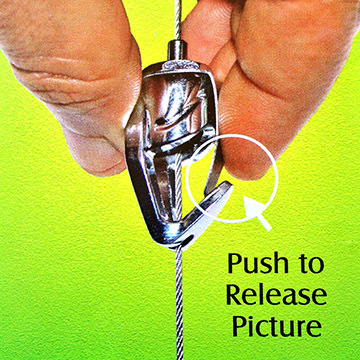 You simply push the button on top to move the picture hook to a new position on the hanger. 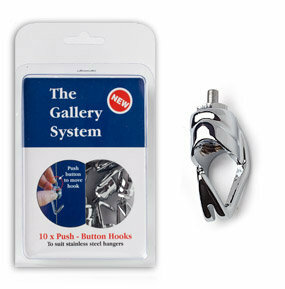 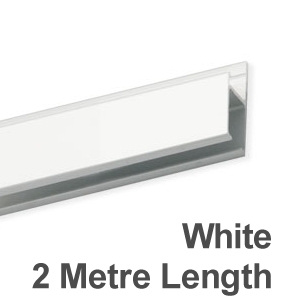 Maximum weight on one Gallery System Push-Button Hook is 20kg (44 lbs).